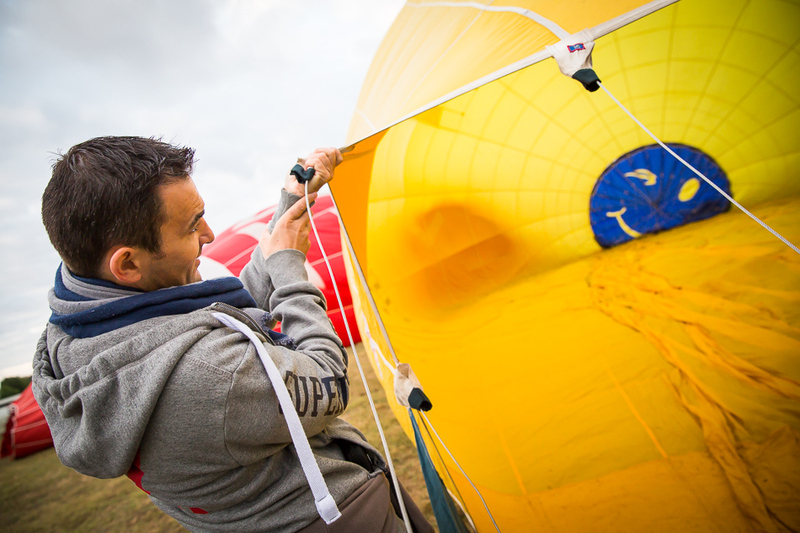 Have you always dreamt of flying aboard a balloon ? And if you decide to turn the corner. 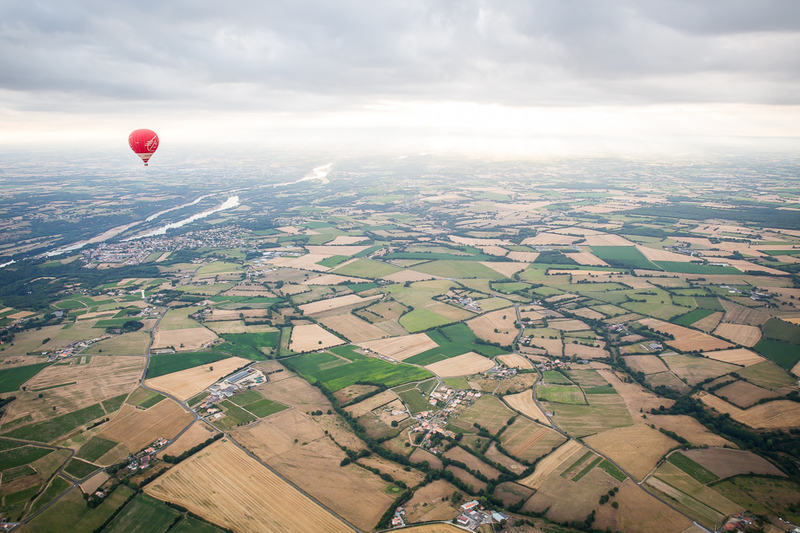 A balloon flight is a unique opportunity to discover differently the Loire Valley. You'll love it, I promise ! 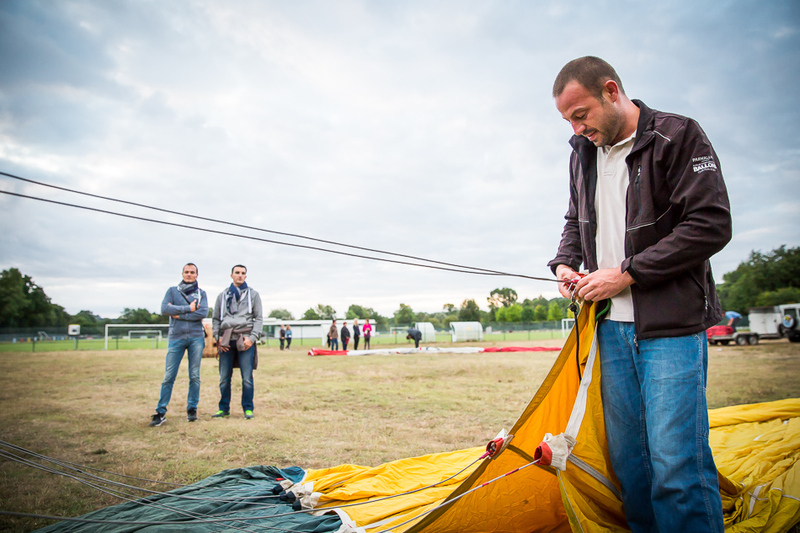 Julien and Zahi are waiting for you at the take-off in Oudon, near a stretch of water. The whole team is here to reassure you and to allay your last fears. Julien will be our pilot and Zahi will "pick up" the passengers on arrival. 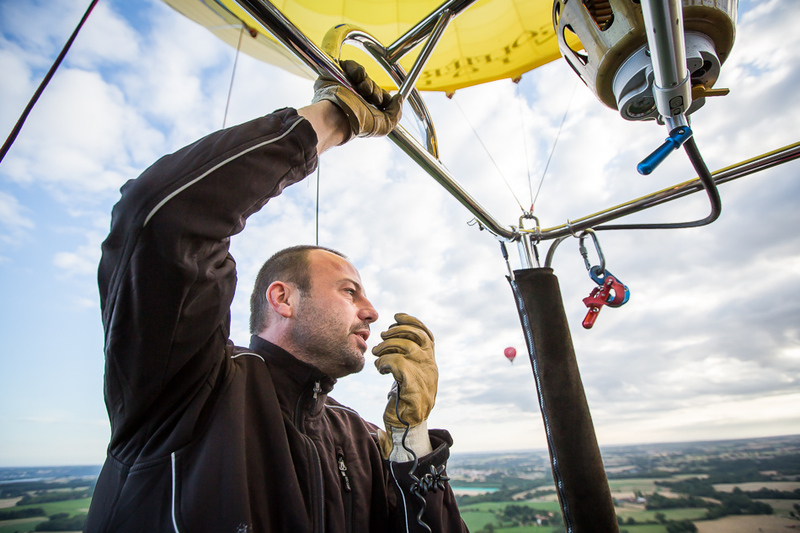 Julien ensure that « you do not get vertigo aboard an hot-air balloon ».
" 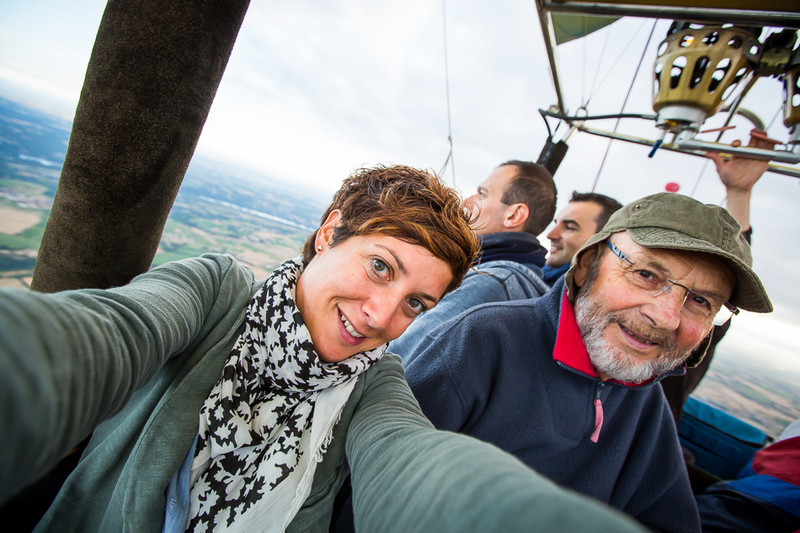 No, you don't have dizziness in Hot-air Balloon "
Anybody up for the adventure ? The team is very focused and carries out the various preparations and verification of the equipment with your help. The balloon finally begins to inflate and straighten peacefully. 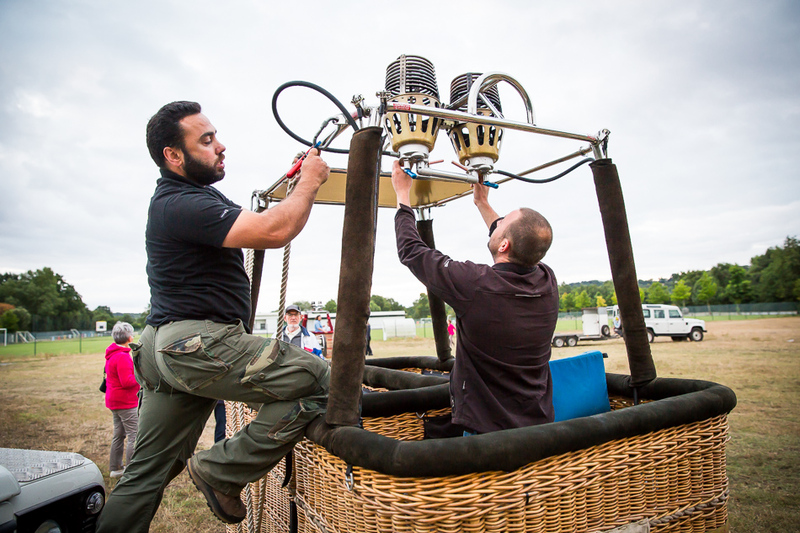 You will now be able to step over the wicker nacelle and get aboard the hot-air balloon. Yours will be the yellow one. Julien, the driver, is now advise you to keep your eyes wide open so we don't miss anything of the show. Julien has been a professionnal pilot for more than 8 years. Passionate, he has accumulated nearly 1,000 flying hours. 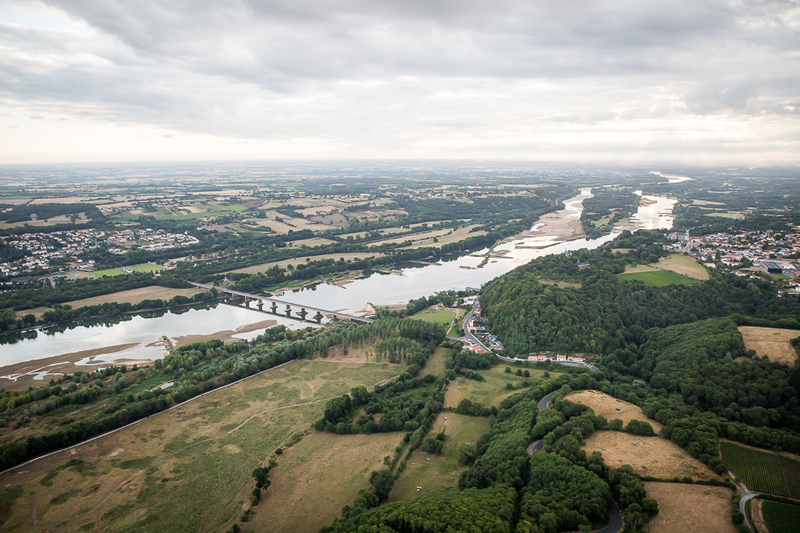 « I am a child of the Loire », as he says « I never get tired of flying over it ». The nacelle is very stable and you can start quietly to enjoy the beauty of landscapes. « We play with the terrain » Julien comments, flying over the tops of the trees. « In a balloon, the wind is driving. We know from where we leave, but we never know where we're going to », Julien says. 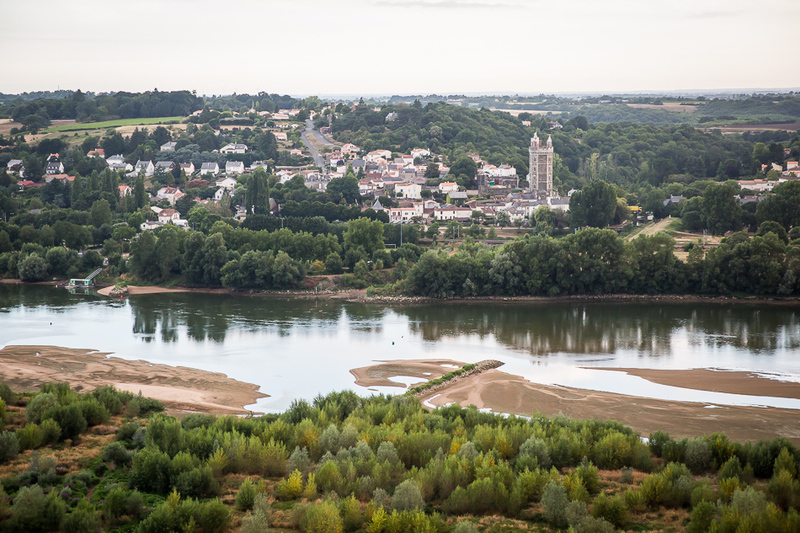 Depending on the wind, you will watch the village of Oudon and its medieval castle, the wild islands of the Loire valley. 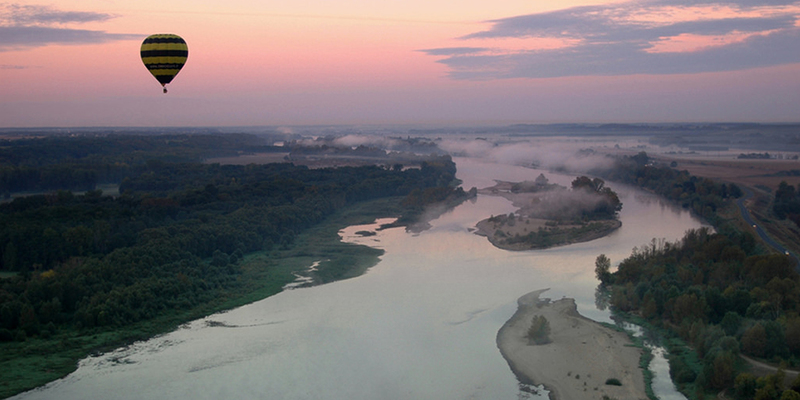 On the horizon, the sun plays with the clouds and makes you enjoy the incredible lights on the Loire river. This is the time to immortalize this moment and to get a little selfie. From Julien to Zahi, do you hear me ? Bend your legs, the landing is announced. « I will land in the field next to this wood » Julien indicates. You do not have any idea of how much time you have spent in the air, it's like you have been plunged into a bubble out of time. 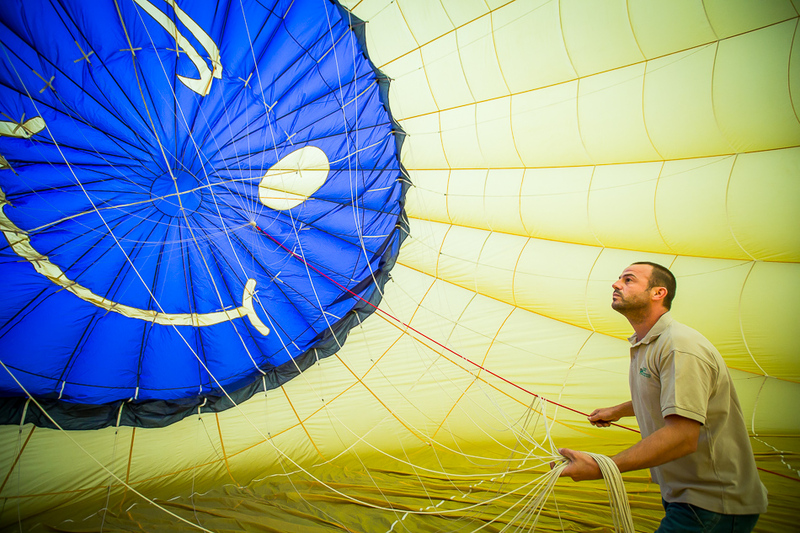 As gently as initialy, your air bubble delicately lands in a field and gradually deflates. In a few minutes, all the equipment is thoroughly folded, stowed and loaded onto the recovery car … for the next flight and the next lucky ones. It's also the opportunity to share your emotions and to return gently to the earth ! (by proudly displaying your certificate of ascension in an aerostatic machine :) ). The feeling of lightness and freedom that you feel will not leave you of the day, I promise ! 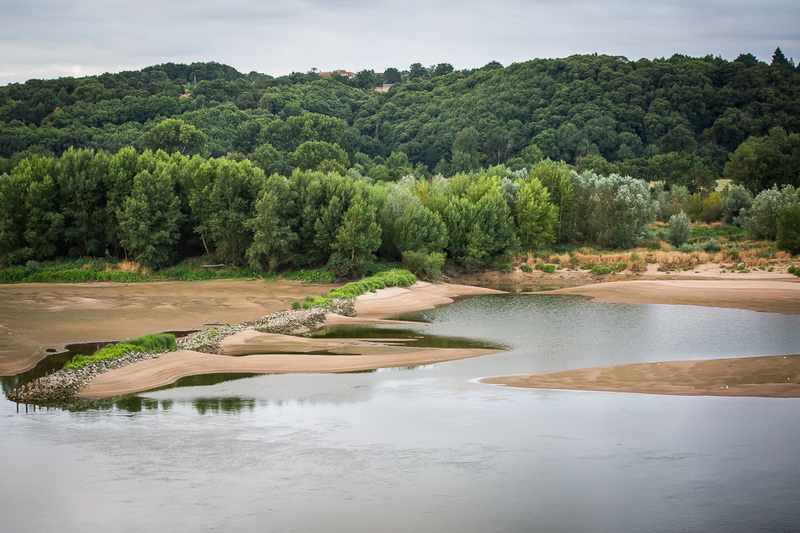 Bike is probably th best way to discover the Loire Valley. 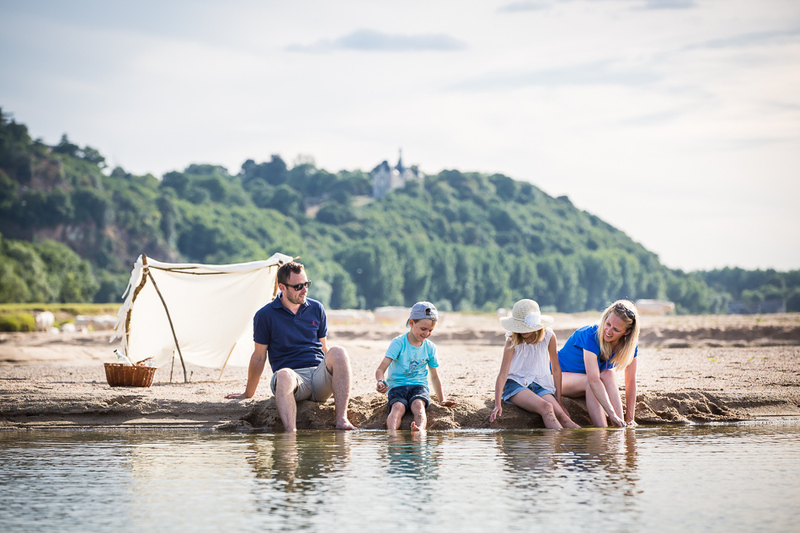 On a day trip or for a more sporty itinerary, it is always paradise on earth ! You don’t know him either, and you’re going to love him yet ... This is Bernard ! He is wine grower at Landron-Chartier Domain at Ligné. He is a real concentrate of passion and good mood.